Kirikee Kids drama group was set up in the summer of 2010. starting out with a mere 19 children it jumped up to 33 children last year aged between 4 & 13. It’s that time of year again, we have been working hard with the kids all summer and now it’s time we take it to the stage. Our kids will perform on Friday the 12th at 7.30pm & Saturday the 13th at 5.00pm. 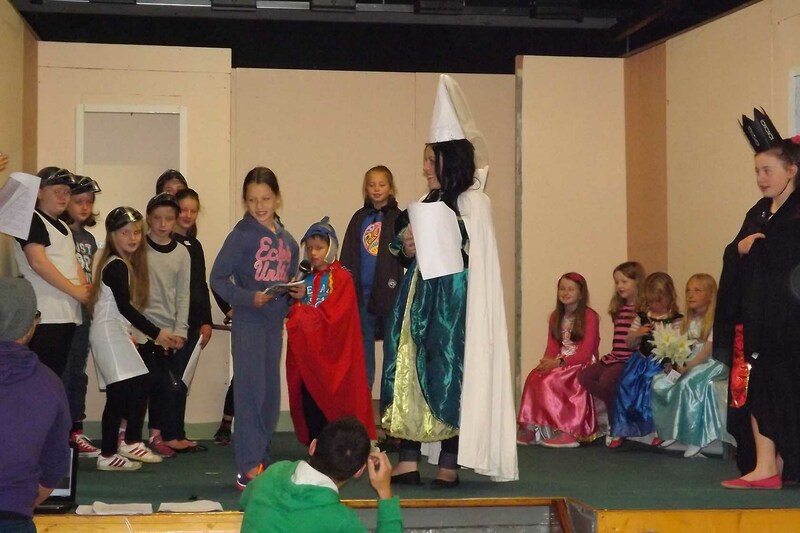 This year we are presenting ‘I Love the Knightlife’, It’s a panto based on King Arthur. All of the children enjoy taking part in Voice Projection games as well as memory game all of which help with the performance. We would like to thank all the parents & children for all their hard work this year! All money raised pays for the Halloween & Christmas parties. Thanks to everyone who has helped us through out the years, backstage, front of house & wicklownews.net for advertising the shows for us!